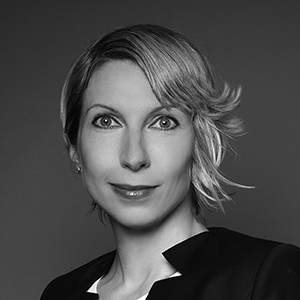 Irina, an Associate Director at FRA, is a forensic accountant with over 17 years’ experience in accounting and audit in the UK and in law in Russia. She specializes in forensic investigations involving potential violations of government regulations, including US Foreign Corrupt Practices Act (FCPA) and UK Bribery Act-related matters. She also assists clients with fraud prevention and detection, anti-bribery and corruption compliance reviews and assessment of internal controls and provides support on compliance Monitorship engagements. Irina’s recent assignments included: forensic accounting work for large international companies operating in mining, oil and gas, telecom, construction materials manufacturing, retail and aviation sectors. In these investigations Irina was required to perform complex financial analysis, counter-parties due diligence, document review, transactional testing, assessment of ABC controls and electronic data collection management. Irina was also involved in supporting the DFS appointed Monitor of a multinational financial institution, conducting detailed transaction testing of the sufficiency of the compliance program across AML, OFAC, FCPA and other financial-crime related matters, as well as supported the PCAOB appointed Independent Co-Monitors of a global accounting firm, including the review and assessment of the audit firm’s design and execution of its system of quality controls. Most recently Irina has been working on a DOJ Monitorship of a financial services institution, assessing sufficiency of the compliance risk management framework and testing adherence to the AML and sanctions compliance procedures, focusing on customers’ on-boarding and periodic risk reviews. Being a native Russian speaker, Irina often works on the CIS-related projects, but also has experience in running forensic accounting projects for the clients based in Europe and Asia. Prior to joining FRA, Irina worked as an external financial auditor and specialized in international assignments, in a variety of industries, including shipping, mining, retail, consulting, software development and e-marketing, with clients based in the UK, US and CIS. Prior to this, Irina was a practicing barrister in a Moscow-based firm where she specialized in civil, corporate and tax law. Irina qualified as a Chartered Certified Accountant (FCCA) with Moore Stephens LLP, London in 2011. Irina is also an associate member of the Association of Certified Fraud Examiners. She graduated from the Irkutsk State Academy of Economics, Russia in 1999 with a Master’s Degree in Law. Irina is based in FRA’s London Office.